Diamond Bar High is a well-established leader in student achievement in the state and nation. Staff members are dedicated to providing personalized educational programs, challenging students to discover their unique gifts, and supporting each student to realize their potential. But, the quest for greatness isn’t always academic. Last year, the campus launched a Wellness Center to provide an extra layer of counseling support and wellness education services. And in just 15 months, the school’s pioneering efforts have been validated. 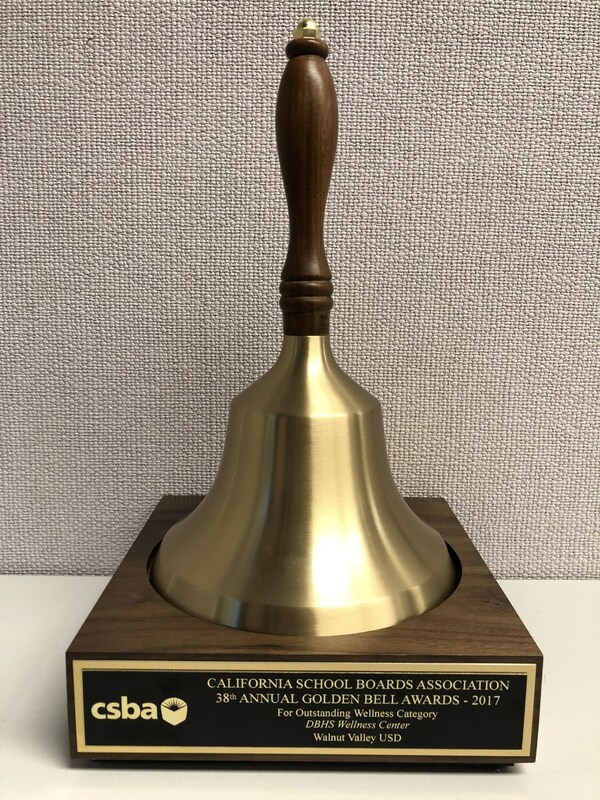 The California School Boards Association (CSBA) selected Diamond Bar High to receive the prestigious 2017 Golden Bell Award for its innovative efforts in addressing the wellness needs of the over 3,000 students on campus. The heart of the Wellness Center is helping students learn to cope with everyday problems, according to coordinator Sandy Davis. “The educational services and resources provided promote student responsibility, resiliency and efficacy in students’ own wellness decisions,” said Davis. This year, the growing program is staffed by 23 student interns who can relate peer-to-peer on most challenging teen issues. These wellness consultants receive an additional 30 hours of intensive training, as well as earning Mental Health First Aide certification. The center offers stress and anxiety relief, progressive relaxation exercises, and guided meditation designed to help students reduce stress. Weekly therapy dog visitations are among the most popular of the services offered to students and staff. Recent outreach efforts include mini-workshops on stress management facilitated for two AP European History classes. 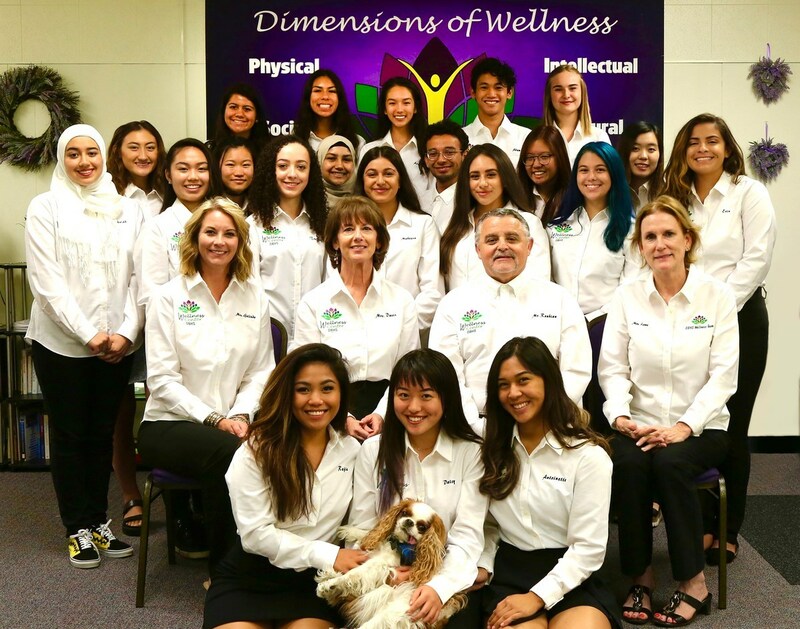 The Wellness Program also garnered the 2017 California Gold Ribbon and 2016 Inspired Changemaker awards by Facebook and Yale’s Center for Emotional Intelligence. “I am grateful for this opportunity to support teens’ positive and successful transition into the next phase of their lives,” Davis said. 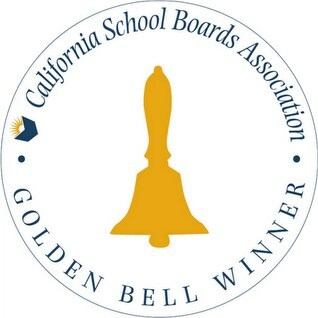 The CSBA Golden Bell Award presentation was made during the Annual Education Conference on November 30 in San Diego. 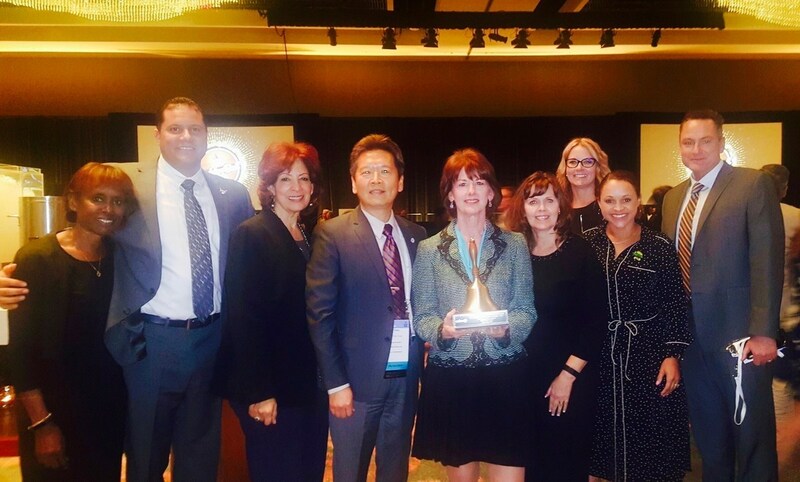 The Diamond Bar High School Wellness Center wins the 2017 CSBA Golden Bell Award. Ring the Bell! 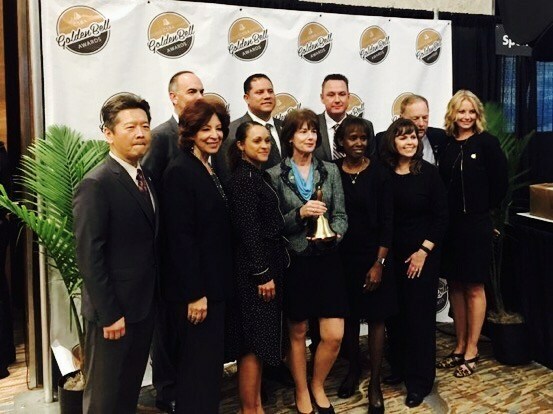 The Diamond Bar High School Wellness Center receives the prestigious Golden Bell Award on Nov. 29 in San Diego. Shown: Board Members Dr. Tony Torng, Helen Hall, Cindy Ruiz, Larry Redinger, Layla Abou-Taleb , Superintendent Dr. Robert Taylor, Principal Reuben Jones, Vejar Interim Principal Whitney Prenger, Interim Instructional Dean Julie Galindo, and Wellness Center Coordinator Sandy Davis.